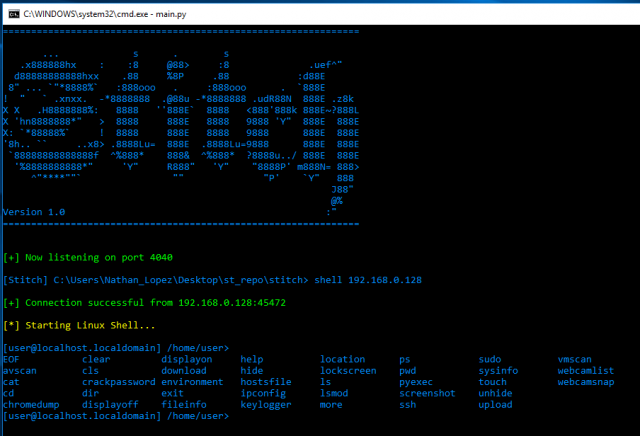 Stitch is a cross-platform Python Remote Administration Tool, commonly known as a RAT. This framework allows you to build custom payloads for Windows, Mac OSX and Linux as well. You are able to select whether the payload binds to a specific IP and port, listens for a connection on a port, option to send an email of system info when the system boots, and option to start keylogger on boot. Payloads created can only run on the OS that they were created on.